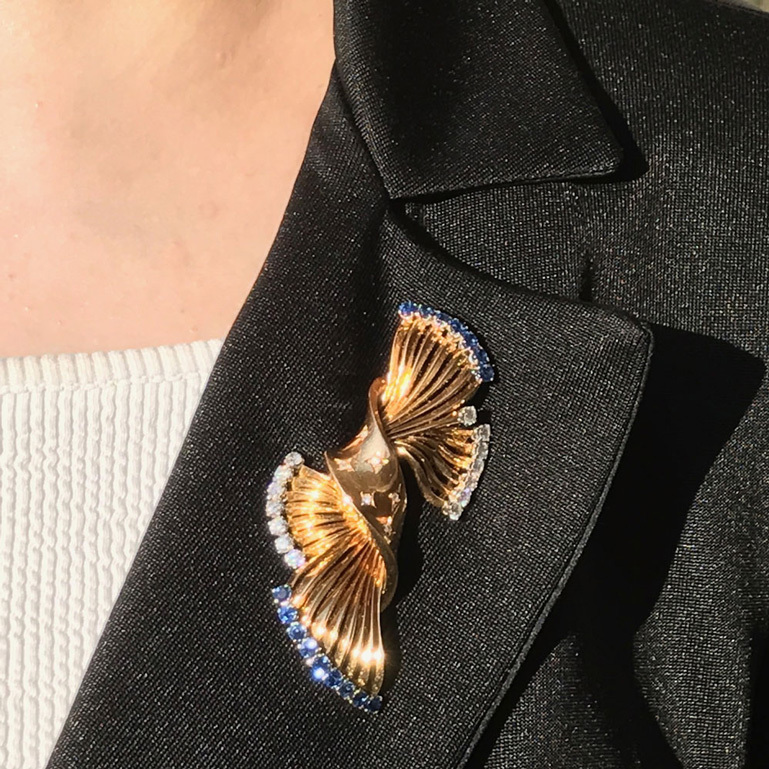 Beautiful and stylish brooch from the exclusive Swiss jewellery house, Gubelin; This lovely brooch evokes an era when style was paramount and no lady would be seen out without a beautiful brooch adorning her lapel. 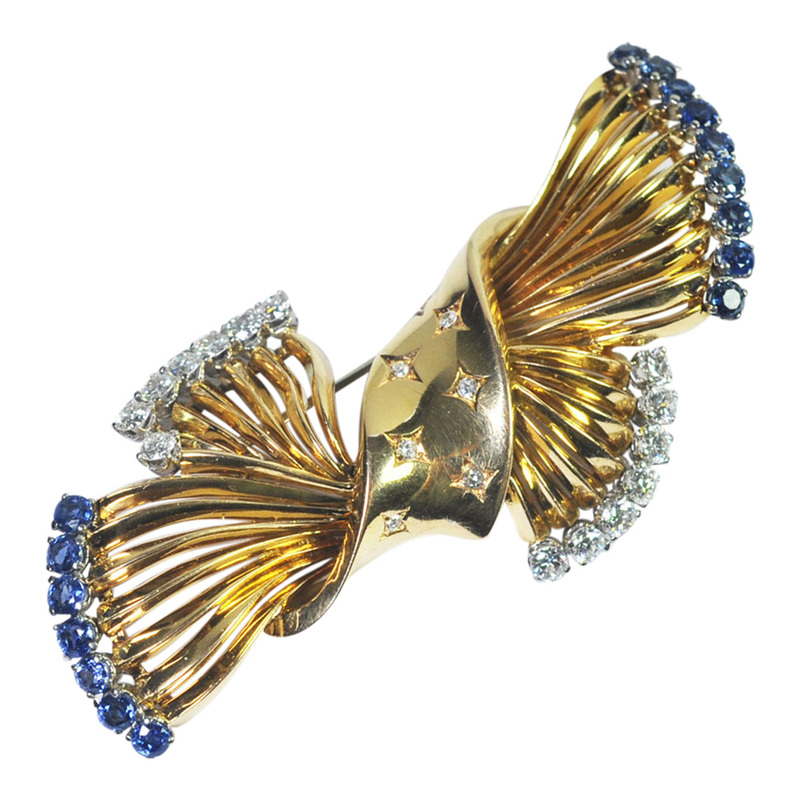 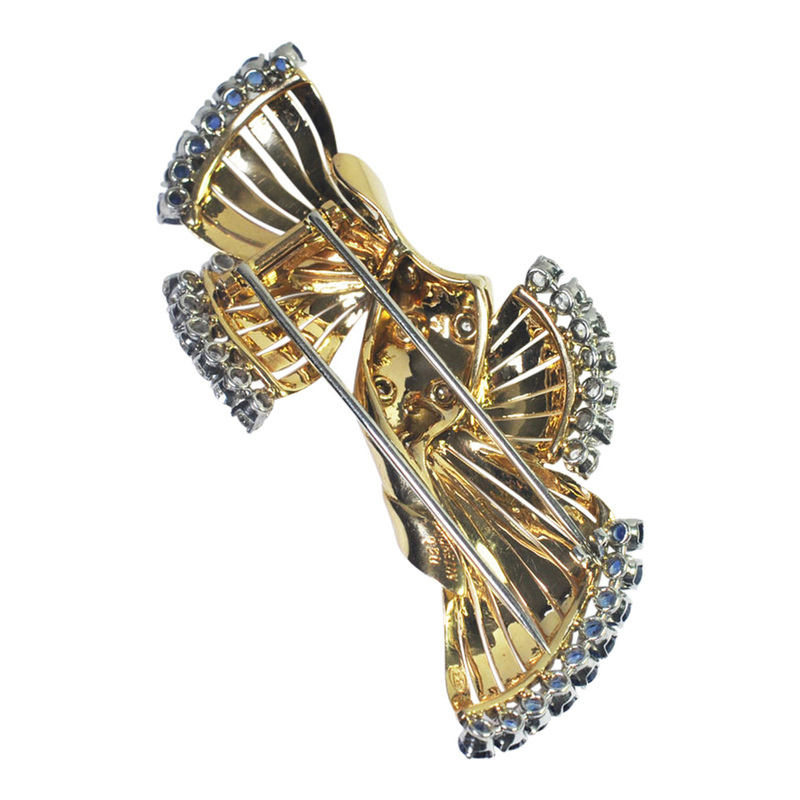 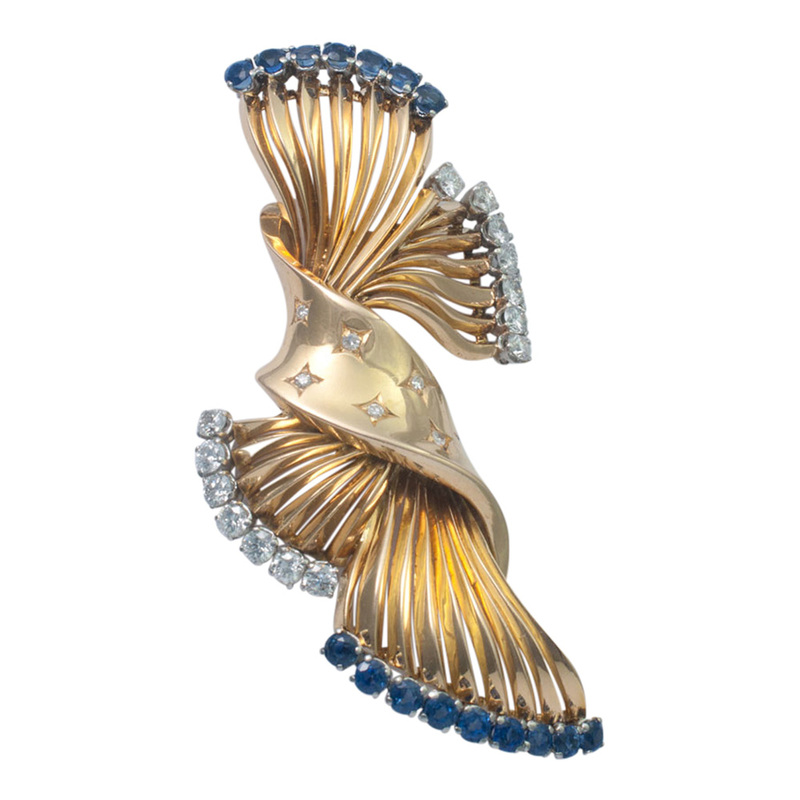 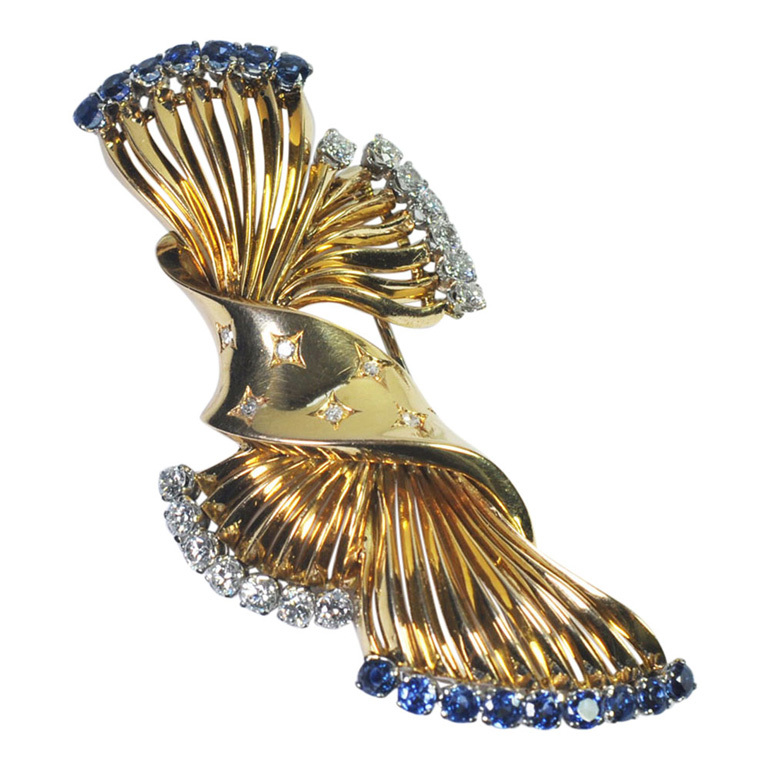 Our brooch is exquisitely made by master craftsmen and weighs 26.9gms. 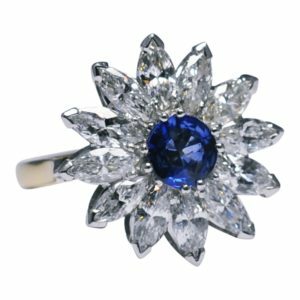 It is set with sapphires and diamonds – the sapphires weigh 1.56cts and the diamonds, which are a mixture of brilliant cuts and 8-cuts in the stars, weigh 1.54ct. 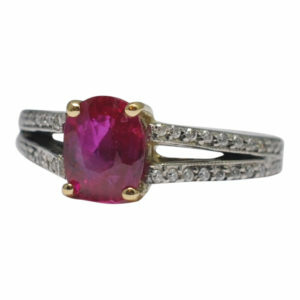 It is stamped 750, signed Gubelin and measures 7cm x 3cm. 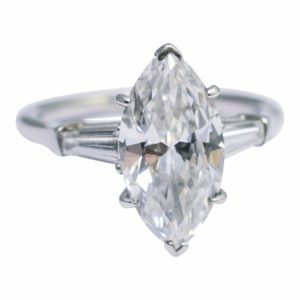 C.1950. 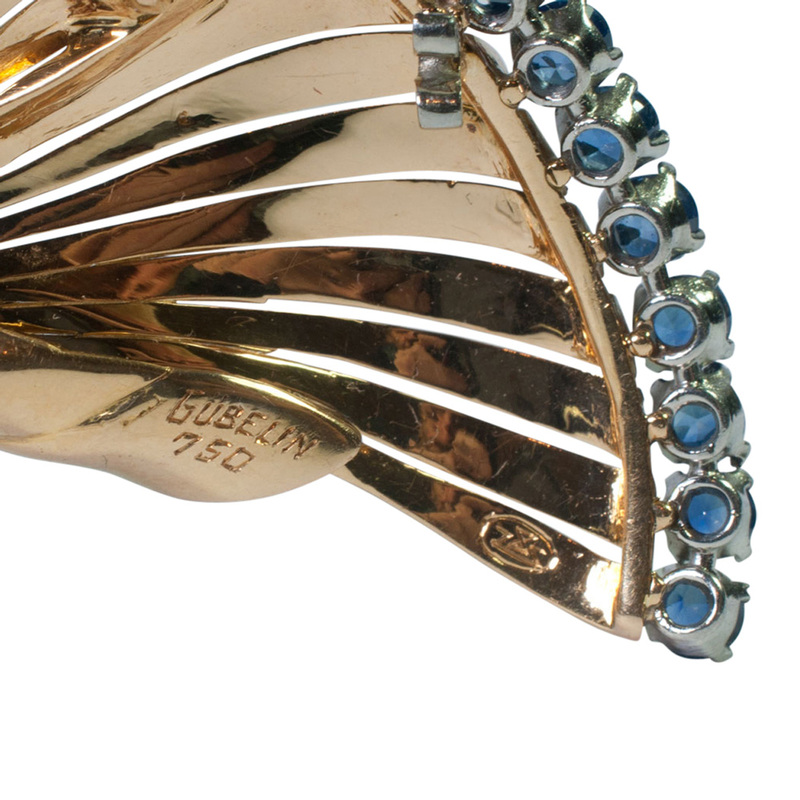 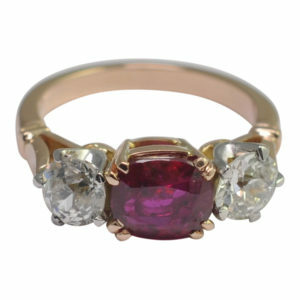 There are traces of the French 18ct gold and platinum control marks (rhinoceros and eagle). 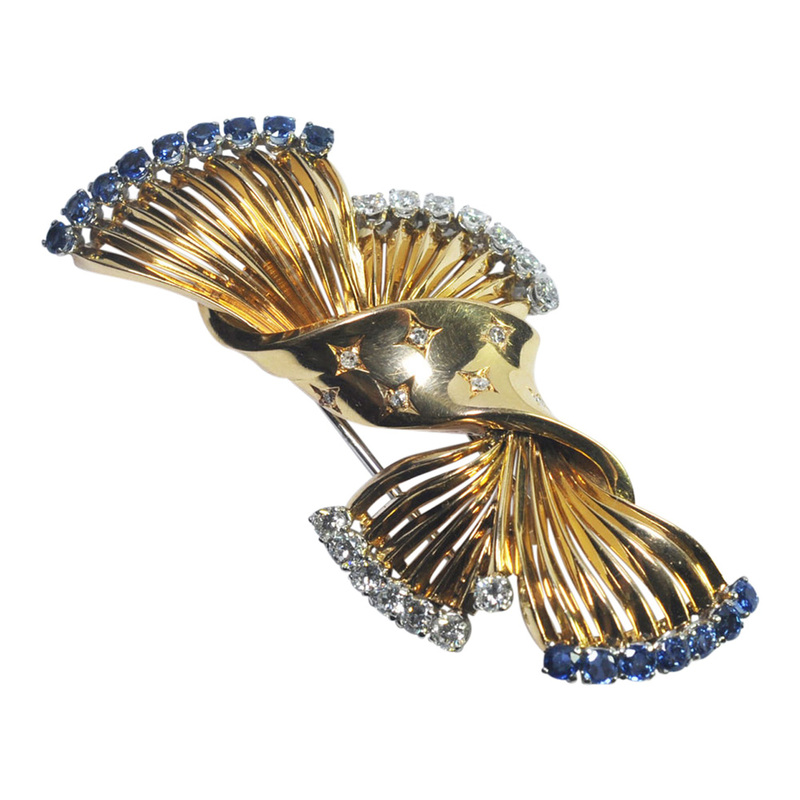 SKU: E013 Categories: Brooches, Diamond, Gold, Gubelin, Platinum, Sapphire Brand: Gubelin.